Published as a handout for participants in Meg Swansen’s Knitting Camp, as a means of learning to work Bavarian twisted stitch. 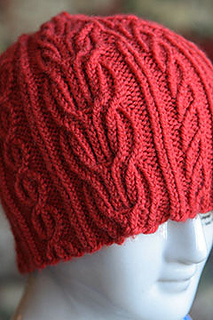 No yarn, needles, or gauge are specified. Knitter’s choice! For information about Knitting Camp. 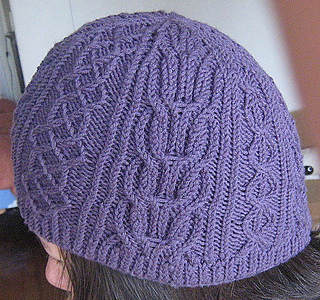 Pattern appeared in the Fall 1999 issue of Vogue Knitting and later in Vogue Knitting American Collection. Instructions for this hat have been added to the Saddle Shoulder Jacket DVD.